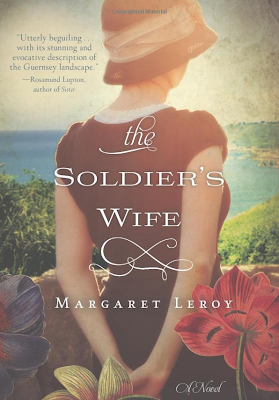 For my book club meeting later this month, I selected "The Soldier's Wife" by Margaret Leroy based on a suggestion I read on a blog. It's about a small British island during WWII that is occupied by German troops. A few officers move in to a home vacated by a family who fled to London before the Germans arrived, and one officer falls in love with the married Englishwoman next door with her two daughters and mother-in-law, whose husband is a soldier in the war. I enjoyed the story, but I'm a little worried that my fellow book clubbers won't think it's hearty enough. But then again, the last two books we read received an all-around "meh" rating. 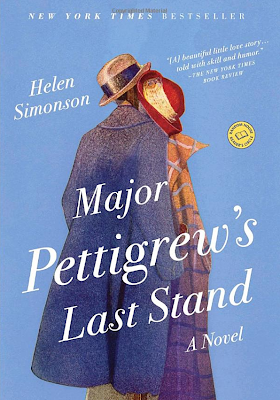 So, to add an additional discussion topic, I also told the group that we should read a book suggested at the last book club meeting, "Major Pettigrew's Last Stand" by Helen Simonson. It's a cute story about a single, aging parent in a small British village who is adjusting to the idea of having a crush on the shopkeeper down the road, dealing with a son who is obsessed with status and dismisses all manners as he makes shallow attempts to climb social ladders (Roger infuriated me! 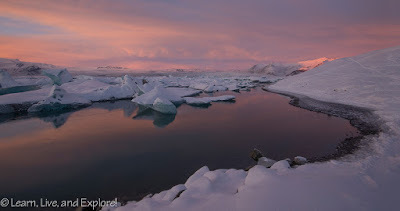 ), and responding to the recent death of his brother while trying to compromise between his role as executor of the will and maintaining a family legacy that he values greatly.